It was actually published more than four years ago, but I didn't see it until this morning. 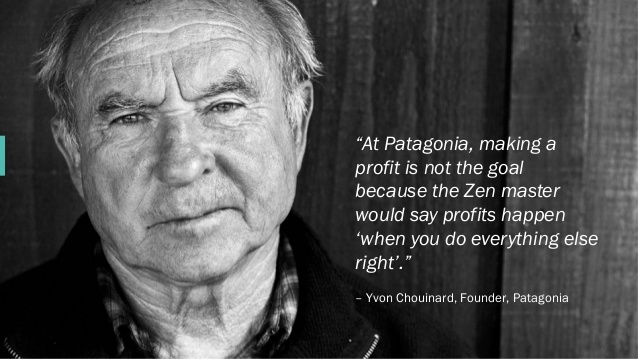 In a video entitled, The “Dirtbag” Way of Business, Yvon Chouinard, founder of Patagonia, puts the smackdown on those who still don't understand the connection between doing well and doing good. It's a great video, so I decided to post it here. If you want to read more about Patagonia's corporate responsibility measures, click here. But fair warning. After reading it, you may find yourself compelled to buy something from these folks. I know I did. There was a war on fossil fuels, but this federal judge may have just ended that war.